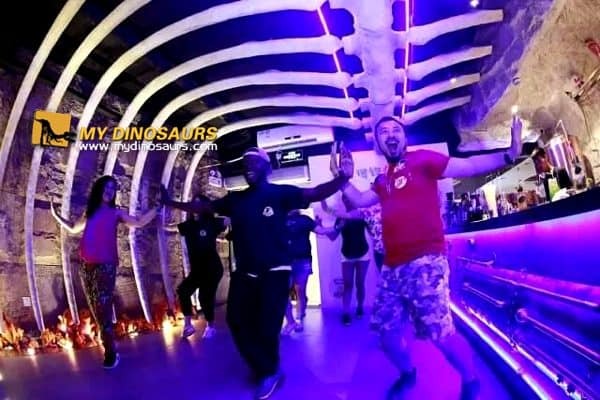 Our customer is the owner of a chain restaurant of BBQ, every 6 months you can find one more Jurassic themed Restaurant & Bar is opening at the bustling business district, except the delectable food here, the unique decoration style attract more and more people spend their time for meeting friends and family day here. 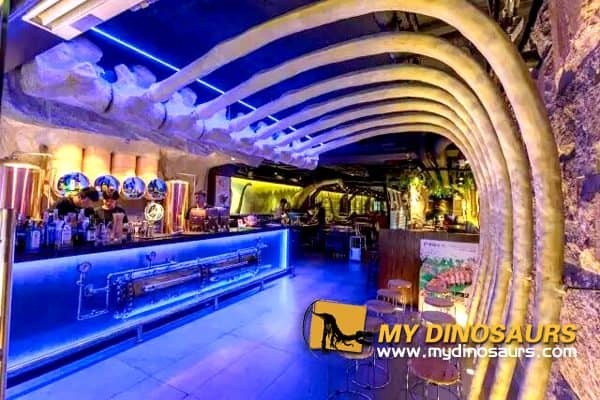 When the first time we give our design and suggestions of the main door for the restaurant, our customer was relieved, because their local constructor is unable to finish the door design as his request, We are the best dinosaur and animal skeleton / fossil manufacturer from China, without doubt, it is the best choice to find us to meet their high request. 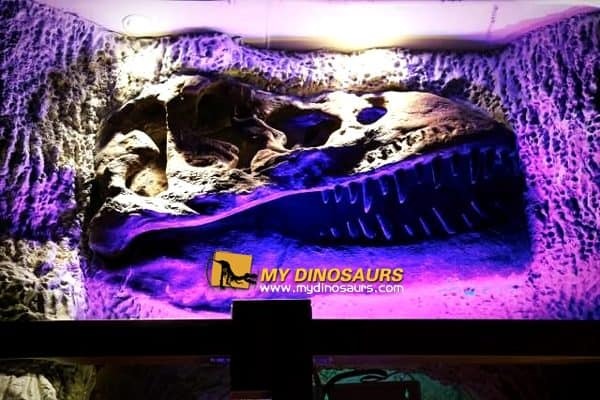 It is a dinosaur head fossil wall, the designer would like to it to be realistic and mysterious to match the decoration style and theme of the restaurant, after sharing the cases we custom made for our customers, they are very interested in T-REX skull, after confirming the dimension of the fossil wall, we start our work. The final work was very impressive to our customers, this is also a good opportunity for us to get their second chance of join in a new opening restaurant. The new restaurant is more like a bar, they want to make something different. At that moment the Pirates of the Caribbean film come out, there was a scene is a wedding is hold inside of a whale skeleton, this give us a new inspiration, because we have already made a whale rib skeleton for Vikings film crew as a props. The designer likes our suggestion very much,so we did it. Except customize products per customer’s specifications, we give our professional suggestion and proposal for our customer as well, what you are looking for? 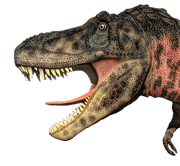 What we can do for you? Contact us get your one-to-one customization service here. 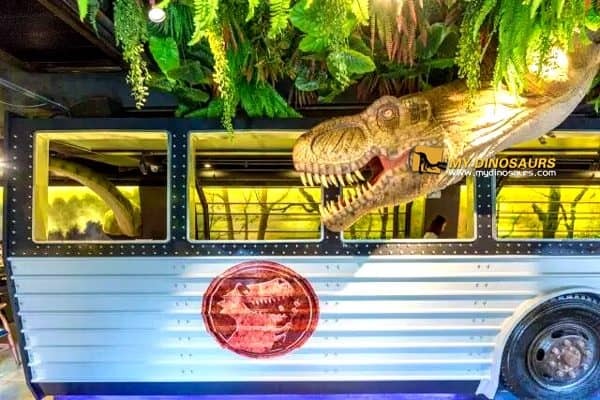 This entry was posted in New Products, Our Projects, Product Customization, Showcase and tagged customization dinosaur props, restaurant dinosaur decorations.